BBC Media Action is the BBC’s international development charity. We believe in the power of media and communication to help reduce poverty and support people in understanding their rights. Our aim is to inform, connect and empower people around the world. We reach more than 200 million people a year, helping them make sense of events, engage in dialogue and take action to improve their lives. We support media and communication efforts that strengthen governance, improve people’s health, strengthen the resilience of vulnerable groups and help them survive, and recover from, natural disaster and other humanitarian emergencies. A new blog about our latest research into how climate change is affecting people in Cambodia, and how it informed our new climate TV show: Don't Wait For Rain. 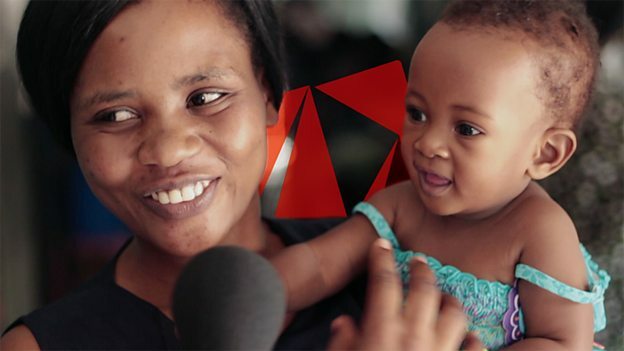 As we look towards the first-ever UN High-Level Meeting on Universal Health Coverage later this year, we’re sharing insights from BBC Media Action’s work to help health workers and communities work better together to build a healthier world. On International Women's Day, hear from our creative team in India who crafted a new narrative for girls, helping them be seen in a new and equal light by their male peers. On World Radio Day, discover how we’re using radio in Nigeria to help people with disabilities get their voices heard in the country’s general elections. Based on learnings from the Ebola outbreak in West Africa, our US Director Yvonne MacPherson explores how tools for Health Communication could be used to tackle the issue of misinformation in other contexts. A guest blog by Sarah Bradshaw, Training Manager for BBC Academy International and an experienced radio producer/director, who helped us develop a new radio drama to help change attitudes about gender-based violence in Cox's Bazar. On International Day for Disaster Reduction, our Senior Adviser for Resilience and Humanitarian Response shares her ideas on how to advance risk communication - so people understand the risks they face, know how to address them, and take informed actions to manage them effectively. On International Day of the Girl, find out how a radio programme helped a schoolgirl in South Sudan avoid early marriage and return to school by changing the attitude of her grandfather. It has taken the aid community a long time to recognise the importance of listening to those affected by emergencies and providing them with reliable information, says our Senior Humanitarian Trainer. On the first anniversary of the Rohingya crisis, one of our humanitarian workers on the ground in Bangladesh tells how a radio programme helped a mother keep her baby son healthy. Around 300,000 young Cambodians enter the labour market every year, but they are often vulnerable to low wages, long working hours and/or hazardous working conditions. Reality TV show “Dream Station” aimed to help young people secure themselves a better future. For the recent elections in Sierra Leone, rapidly increasing levels of access to social media – particularly among young people – had created an important and influential space for political discussion. Hear from our Country Director.